When you fly into Venice on a clear day you’ll already get a feeling for this sprawling old city from the window seat. Nestled in the Venetian lagoon between the Adriatic Sea and the Italian mainland, Venice is an elaborate stage set on water – an architectural dreamscape. ‘Proper’ Venice is not so far from the Aeroporto Marco Polo di Venezia and it takes about 30-40 minutes water taxi transfer to get to the Grand Canal. Having arrived in Venice shortly after Carnevale 2012 ended, the city was quiet; the only evidence of the party that had been was the traditional masks on sale and the festival confetti still stuck in the centuries old grouting. 411 bridges connect 120 islands and how much walking you do largely depends on the tide. 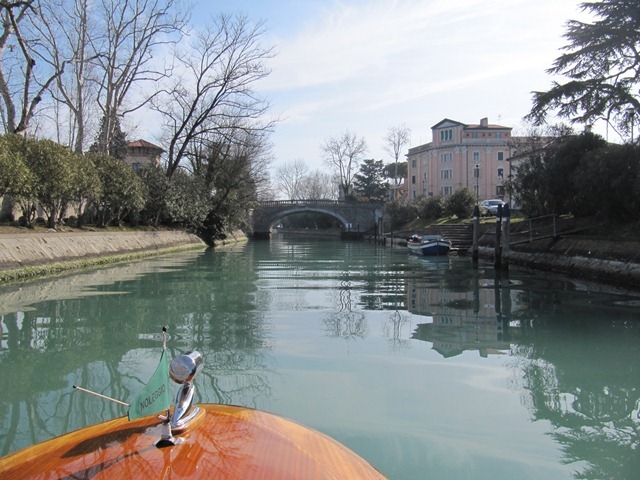 Extreme lows render the water taxis and gondolas impractical as it becomes increasingly difficult to get on/off them. In addition, once you’re on the island, you won’t see any bicycles, Vespa’s or cars making Venice a dream walking destination. Since you’ll be doing most of your sightseeing on foot, the chance of getting lost in Venice is highly likely, although this isn’t always a bad thing. There’s nothing like getting lost down calles so narrow they never see the sun, and happening upon the most gorgeous bakery or café. It’s easy enough to get lost in Venice if you’re not carrying a map – the Grand Canal snakes its way through the floating city, making navigation a challenge if you’re planning on using the famous waterway as a landmark. That said, the city is well signposted and it won’t take you long to find your bearings if you’re staying for longer than a few days. Actv Water bus ferries or Vaporetto. These are the big ferries that you see cruising up and down the Grand Canal. They’re slower than the speedboats but are your best bet if you’re on a budget. Water Taxis are the private and more expensive Venice transport option. Expect to pay up to €110 (for up to 4 people) for a ride from the airport to Venice’s historical centre. Gondolas are the typical way to see Venice. If you really want to get into the spirit, hire one that comes complete with an opera singer. Lido means ‘beach’ in Italian and as such you’ll find a lot of Lido’s throughout Italy. Lido di Venezia is the island specific to the Venice region – it’s an 11km long sandbar and primarily the home of upmarket houses, an 18 hole golf course and the Venice Convention which hosts the annual Venice Film Festival at the Palazzo del Cinema. Murano is famous for its glass and you can easily hop on a water taxi/vaporetto (large water bus or ferry) and visit the glass factories just 20-30 minutes from Venice. In 1291, in the face of the growing threat of fire hazard, the Venetian authorities ordered all glass factories to be transferred from Venice to the nearby island of Murano. Thus began the legendary Murano glassblowing industry, and ever since the glassblowing art has been synonymous with the island of Murano. The family owned factory I visited specialises in handmade glass chandeliers, however, the showroom that’s attached to the factory sold everything from glass jewelry to elaborate sculptures, ornaments and vases. Don’t miss out on a glass blowing demonstration at the furnace and the chance to buy some genuine Murano glass. Most of the factories will organise shipping all over the world. With the Church of San Martino and its leaning Campanile (bell tower) visible on approach, Burano is quaint and charming. Spread out over four individual islands which are separated by narrow, 10 metre wide canals, the island is adorned with charming colourful houses reminiscent of Cape Town’s Bo Kaap area. Burano is about 40 minutes from Venice on the water and is known for its lacework. Check out Emilia Burano on the main square by the Church of San Martino. Most of Venice is a sight to behold and just seeing how the locals manage to live on water is pretty amazing. Piazza San Marco (known in English as St Marks Square) should be your first port of call in Venice. 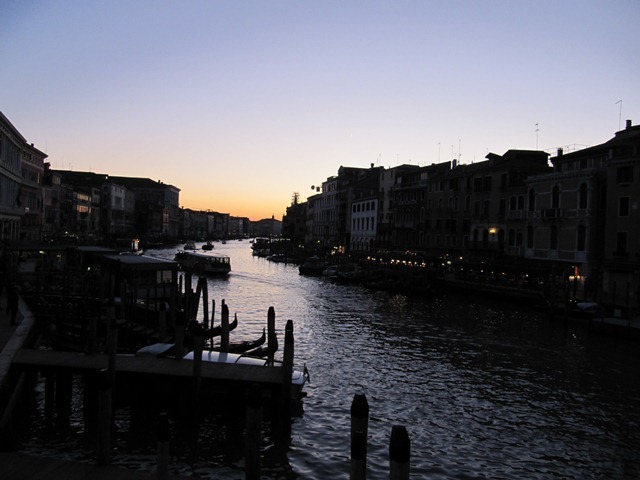 You can see it from the Grand Canal – it’ll be on your right when you’re coming from the airport. In the San Marco Square area you’ll find St Marks Basilica, the Doge’s Palace and the Bridge of Sighs as well as the Torre dell’Orologio (Clock Tower) built in 1499. The Piazza has been described as one of the few great urban spaces in Europe where human voices prevail over the sounds of motorized traffic. Visit early in the morning for great photo opportunities and to avoid the crowds. Further down the Grand Canal is the Rialto Bridge. 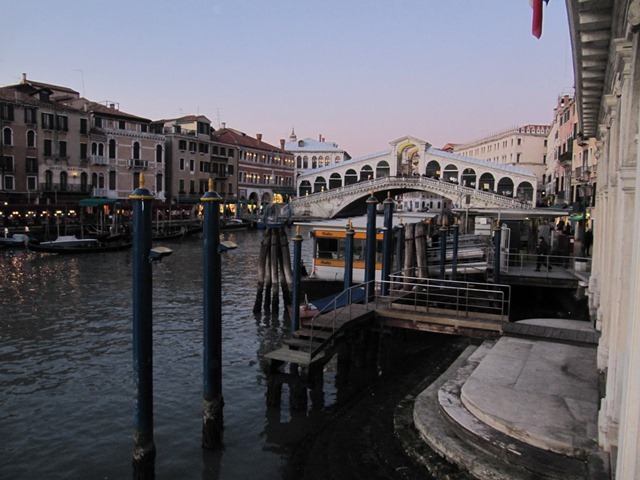 Completed in 1591, for me the Rialto Bridge is the focal point of Venice sightseeing. It consists mainly of steps so it’ll be a challenge for elderly or disabled tourists. If you’re walking to Rialto from Piazza San Marco head for the clock tower, cut through the arched passage, and follow the ritzy shopping streets known as the Mercerie until you reach the Grand Canal, then turn right and walk two blocks to the bridge. There are two sides to Venice shopping and not much in between. Firstly, all your high end brands including Burberry, Cartier and the like are widely available with high end prices to match. On the flipside of your € coin is the souvenirs – many of which you’ll find in the Rialto and San Marco precincts. If you’re looking for gifts to bring home then find a local deli and buy some genuine Italian pasta or coffee. 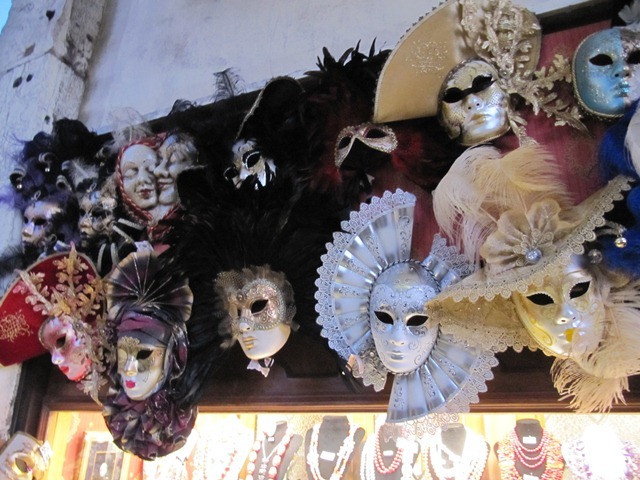 There is some authentic Italian leatherwork that you can buy in the shops near Rialto Bridge; and Venetian masks and glass from nearby Murano is available everywhere. Where have all the supermarkets gone? You’ll probably wonder where all the supermarkets have gone when you’re in Venice. Luckily I managed to find what I think is the only supermarket in Venice when I got lost. It’s called Punto and it’s around the corner from the west end of the Campo Santa Margherita in Santa Croce. You won’t go hungry in Venice and I could probably dedicate an entire blog to this aspect of the old city. Each meal I had was plated for me and you don’t order food off a menu as you would in South Africa – menus are simply there to let you know what you’ll be eating. The only thing I ordered per se was an espresso after my meal (anytime) or a grappa (usually after dinner). Each meal consisted of 4 – 5 courses with food typical of the Veneto region – boiled meats, pasta, pesce (fish), tiramisu and genuine Italian gelato for desert to name a few. For dinner check out Osteria ai Assassini in San Marco. 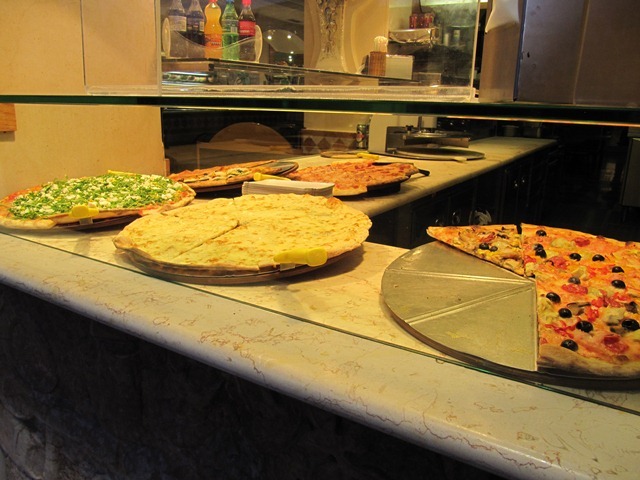 It’s a typical Venetian Bacaro (informal restaurant) where the menu is changed on a daily basis. Chef Giuseppi Galardi is accommodating and friendly, and his food outstanding. Vin Brulé – hot wine – expect to pay about €1.50 at Rialto Bridge. An espresso on Piazza San Marco cost €8.30; however, this is to be expected in such a tourist centric area. Head to a more out of the way café and you’ll pay more reasonable prices. With Cortina, Padua and Treviso in the Veneto region, the time you invest in exquisite Venice is up to you. 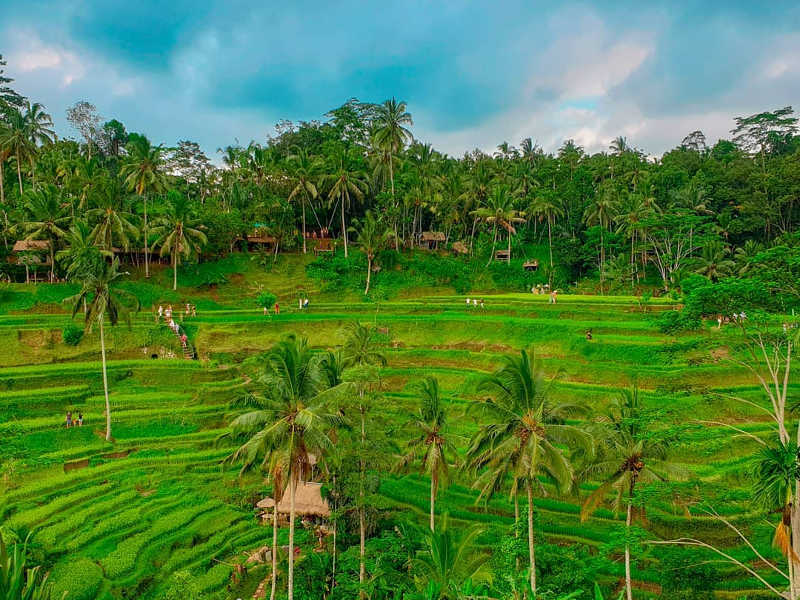 Whether you choose to experience The Floating City through its food, its people or its history; you will soon realise it really is a once in a lifetime destination. Qatar Airways flies 7 days a week from Johannesburg and 4 days a week from Cape Town to Doha, Qatar Airways’ hub, allowing you to connect to any one of the over 100 destinations on its network. Flights from Doha to Venice depart daily and connect best with the Monday, Tuesday, Thursday and Saturday flights from South Africa giving you a quick 2 hour stop in Doha. You’ll arrive in Venice by ten past two in the afternoon. Returning on a Tuesday, Thursday or Saturday means you get your quickest change in Doha of 1 hour 55 minutes. 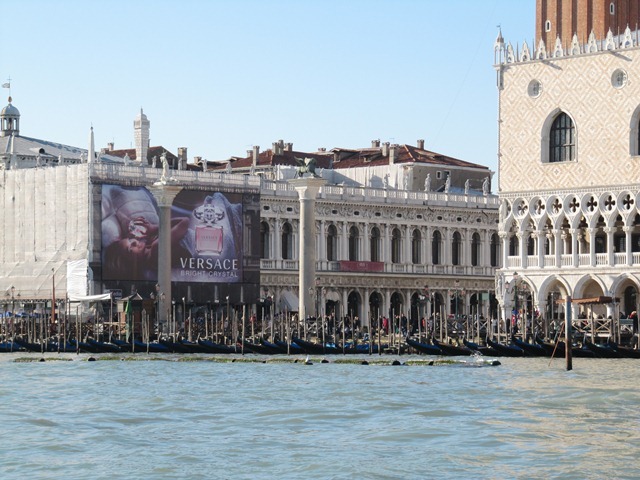 Organise your own Venetian trip now or chat to our consultants about a package. Hi, i read all your article and experience, i’m from Venice and everything you wrote is right till today 2014, i also suggest the Osteria Agli Assasini near San Marco Square and also if you are looking to visit how the Murano Glass is made and want to take look for free how the masters work, i suggest the VMA (Vetreria Murano Arte) is to the left on the first stop when you arrive in Murano Island. I can be honest & say I was just “checking out the competition”, but upon reading your blog I really like it. 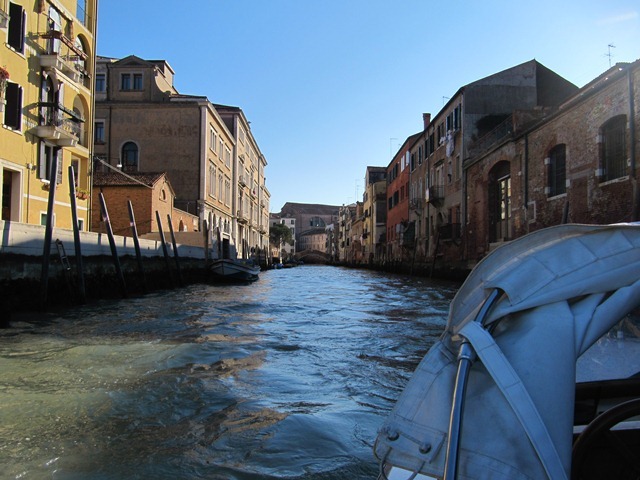 I started a blog last year dealing with the adventures of a Senior Single Traveler, and in October my new adventure will be staying in an apartment in Dorsoduro, Venice. So your publication is an incentive!! LOVE VENICE! Thanks! 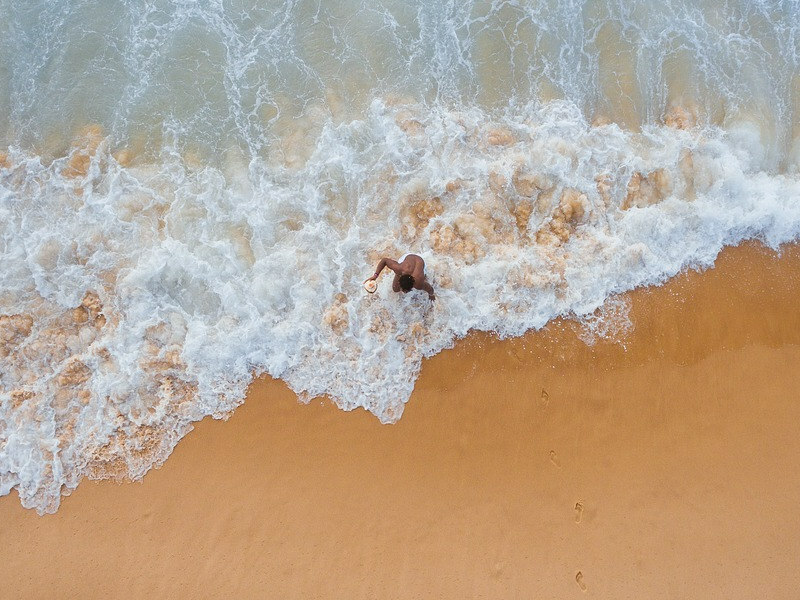 Wonderful photo reportage! Congrats for this captivating vacation, it was a good choice. Hey! I really enjoyed your post. Couln’t agree more with you when talking about the transports: the only way you can visit Venice is by foot. Really, really great post!! I fall in love with the city of Venice when I was child, because I used to visit the city once a year with my family. It’s a place that is well-known all over the world, there are tourists from different countries all year round, in fact, Venice is beautiful either in winter or in summer. To me Venices is the honeymoon city. describe the Italian spiced food. Art in statutes, buildings, history, Guggenheim collection. To dreamt be venetian during the good years of masks and money leave all visitors with th wealth of history. 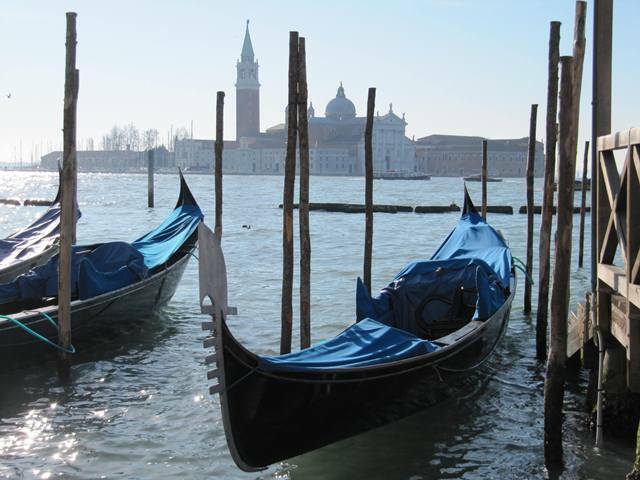 For the honeymooners, the gondolas and song does not begin to tell. Each road has nooks and crannies for smooch and kisses in the city of Valentino. Great posting about this amazing – but also slightly strange city! We found it a bit like strolling around one massive living museum. 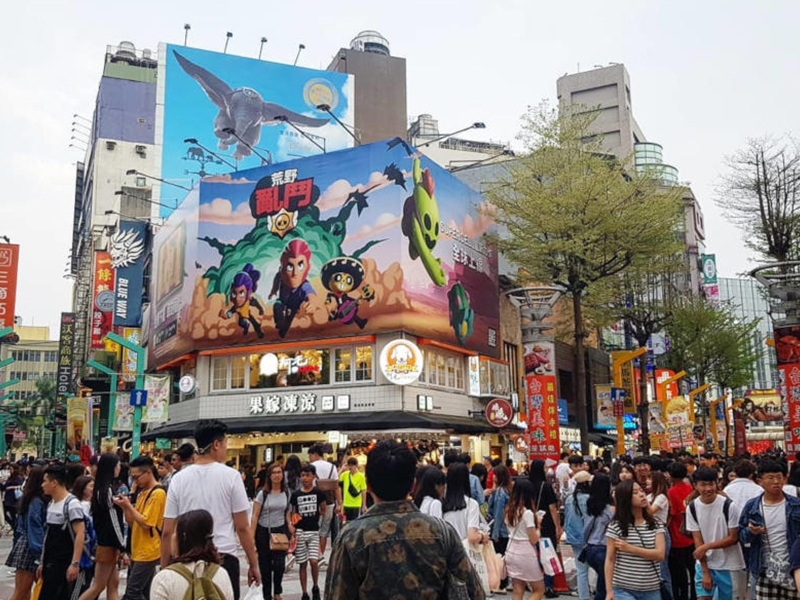 It seems that the locals no longer live in the city, but more on the mainland where there are schools and also prices are better for accommodation. Many of the places are owned by people that use it as a place to escape to. But without a doubt this is a city everyone needs to visit at least once. Another tip, is to visit the Peggy Guggenheim Collection. This famous family lived in the city and their old house has a great collection.